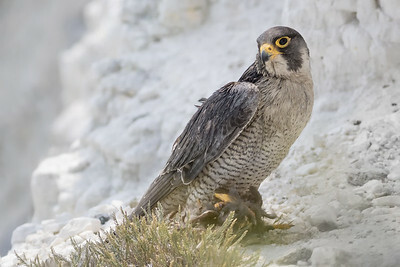 I have been visiting the Peregrine falcons on the White Cliffs of Dover for a many years now. 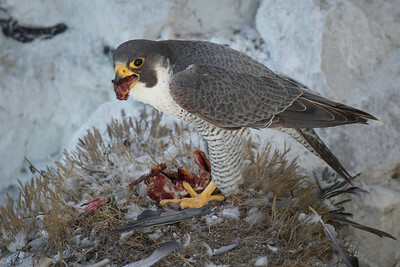 They were made locally extinct during World War II due to their predation of the carrier pigeons. 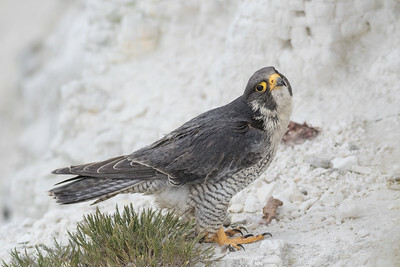 Recovery of the species was delayed by the use of pesticides in farming. 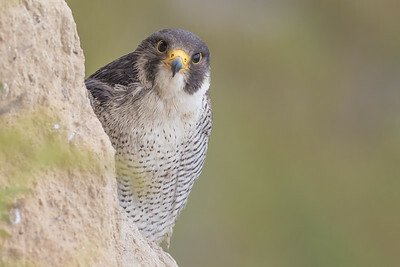 Fortunately the falcons have now regained a healthy population and successfully breed annually. 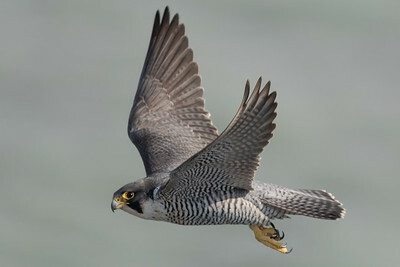 Personally I have always felt an affinity with these majestic birds. 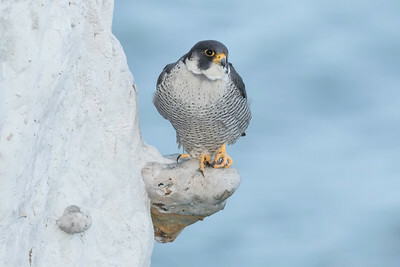 Perhaps it stems from my climbing background, and seeing them perched high up on the cliffs edges. 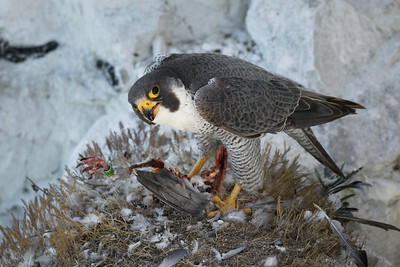 Two of the images featured within this gallery have been awarded. 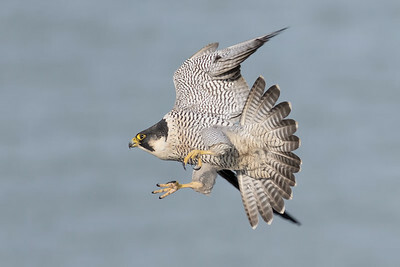 Highly commended in the British wildlife photography awards and first place in the Kent Wildlife Trust photography awards. 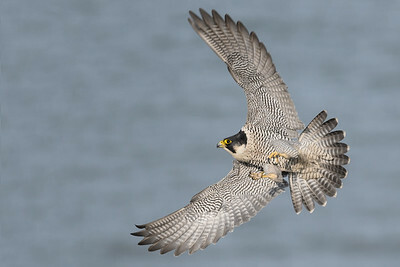 The Peregrine is a schedule 1 listed bird so I will not disclose any exact locations. 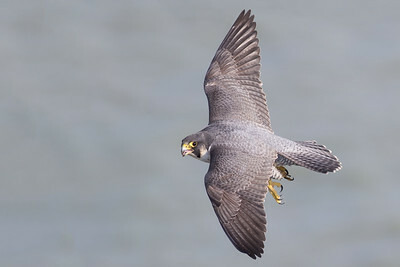 However it is possible to see them on the cliffs all the way from Folkestone through to Broadstairs. If you do visit, one thing to be mindful of is that chalk by nature is very friable and regular, sizeable cliff falls occur each year. 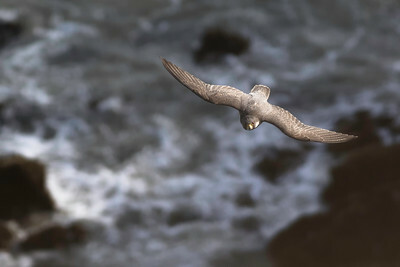 For this reason stepping close to the cliff edges should be avoided. 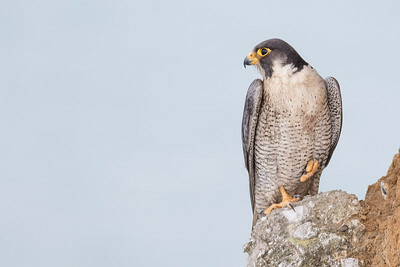 Peregrine Falcon high up on its cliff top perch. 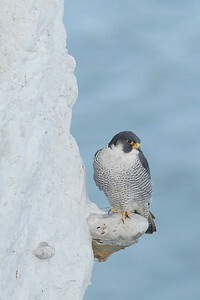 A male Peregrine falcon perched high up on the white cliffs of Dover. 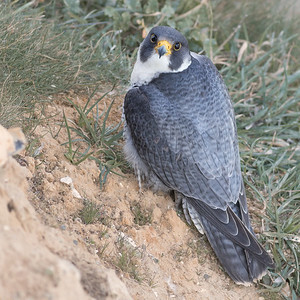 Peregrine falcon captured in the evening light along Dover cliffs. 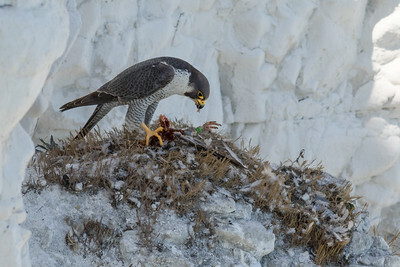 It was the updraft against the cliff that betrayed the Peregrine on this occasion, I could see the feathers rising up above the cliff edge as they were being plucked from its prey telling me exactly where to look. 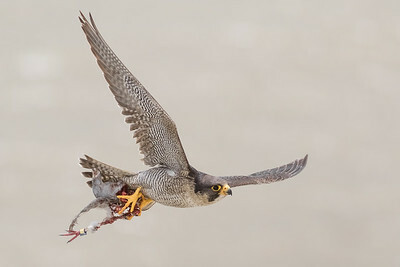 Peregrine falcon carrying prey. Notice the ring on the bottom of the racing pigeon's leg. 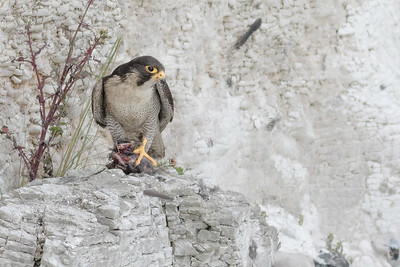 Peregrine falcon feeding on pigeon prey high up on the white cliffs of Dover in Kent. 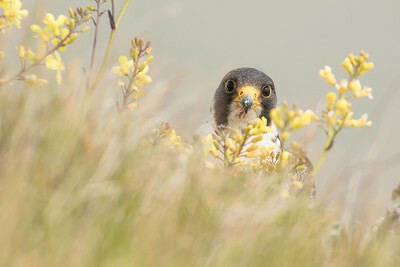 Peregrine falcon peeping up above the yellow sea kale flowers that line the edge of the cliff top. 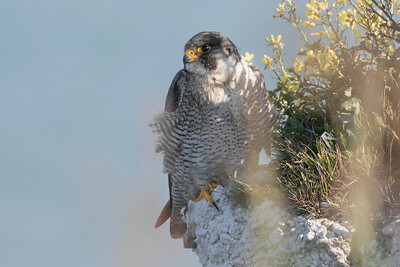 Peregrine falcon perched just below the cliff tops. 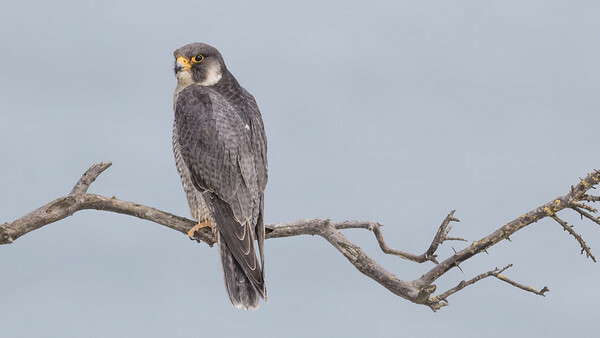 The photo was taken at the end of the winter and it shows the male tercel in prime condition. 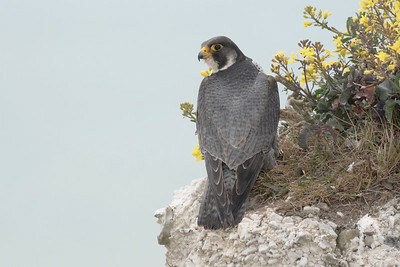 Peregrine falcon perched high up on the white cliffs of Dover.